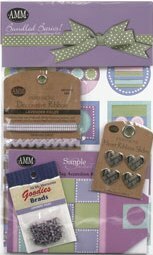 Each imaginative kit includes: Signature Accents, Tag Accordion Book, Expressions Decorative Ribbon, Heart Ribbon Slides, Small Round Brads. Large 5" x 14" sheet. Rub-on the images or words, sprinkle with glitter (included), and brush away the excess for a glistening accent! 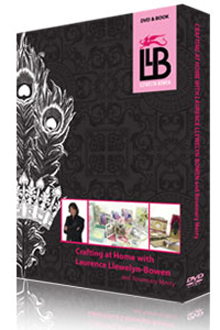 Laurence Llewelyn-Bowen and Rosemary Merry will guide you through card making, scrapbooking and decorative craft projects using Laurences very own paper craft collections - Retro Rose and Venaissance. Watch as Laurence takes you on a guided tour of his home and explains what inspired him to design these very special and unique collections. Included in this set is over 90 minutes of film and a complete project booklet.